In this short film, a young man (Aidan Gillan) arrives in the midst of London's Soho. He's from Belfast, he's anxious and he looks like he's running away from something. 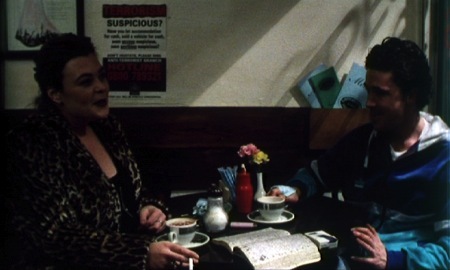 Then, by chance, he meets Grace, a prostitute who happens to come from Belfast too. A connection is made and, for a brief time, she seems to offer the chance of a new future. In the soulless swirl of the metropolis the almost inexplicable workings of fate seem to exist, drawing the right people as well as the wrong together. They meet by coincidence and yet it seems more than that. Instinctively they both recognise that they are destined to meet. One phone call can change your life.